Exeter Central railway station is the second of Exeter's main rail stations. Although smaller than St Davids Station it is the most centrally located and only 5-minutes walk from the Exeter High Street. Although the station has three entrances, the main entrance is on Queen Street located above. Parking is available outside and nearby to Central Station. There is a bus stop outside the Queen Street entrance with services connecting to the city centre. The Exeter Bus Station is less than 1-mile from Central Station. The Exeter International Airport is approximately 6-miles from Central Station. 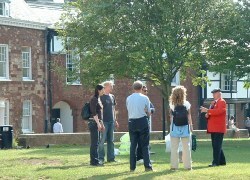 There are plenty of accommodation services in and around the city. 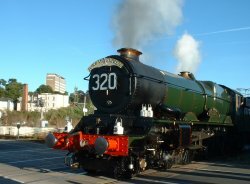 The closest hotel to Exeter Central Station is the The Rougemont Hotel located across from the main entrance. Availability of other close-by hotels and guests houses can easily be checked and then booked prior to travelling. 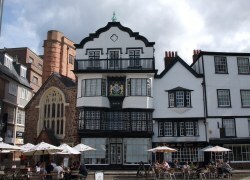 For more details visit our places to stay in Exeter page or alternatively you can check now for the closest hotels to Central Station .